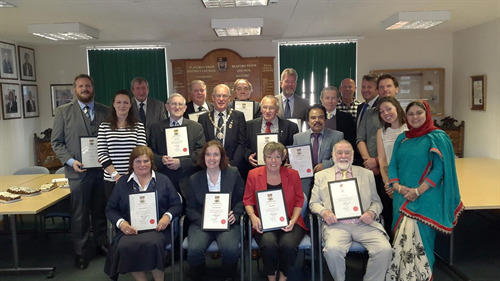 On 30th September Seaford Town Council invited past Councillors to attend a presentation of certificates that were given to thank them for the years they spent with the Council. The certificates were presented by Mayor of Seaford David Argent. The Mayor gave a speech in which he spoke of how helpful past Councillors and Mayors have been over the recent months at times when he has needed advice being both a first-time Councillor and Mayor. Town Clerk James Corrigan said “Seaford Town Councillors work solely as volunteers, they receive no pay and give up a lot of time for the good of their local community.